Published Aug. 7, 2018 at 6:04 p.m. 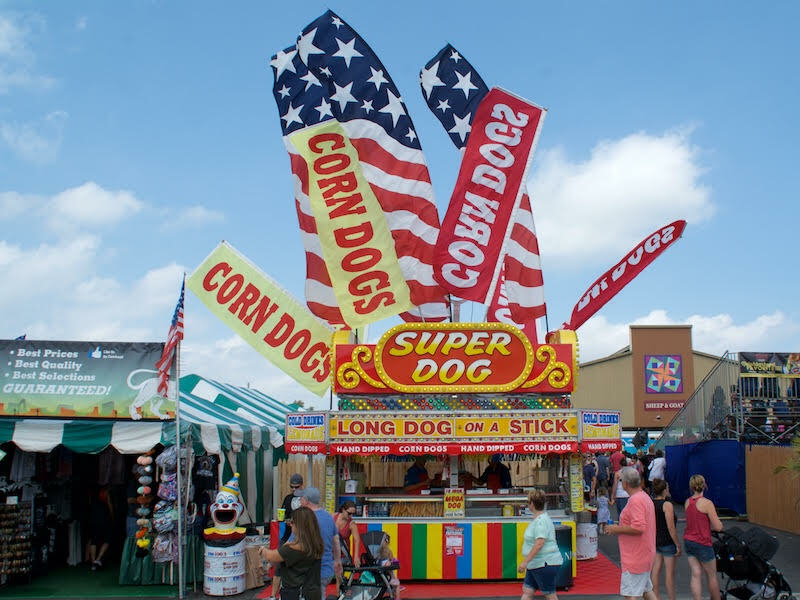 It could be said that every single State Fair food on a stick is a poser, except for the corn dog – and maybe the caramel apple – because both are the only fair foods that are regularly served on a stick. 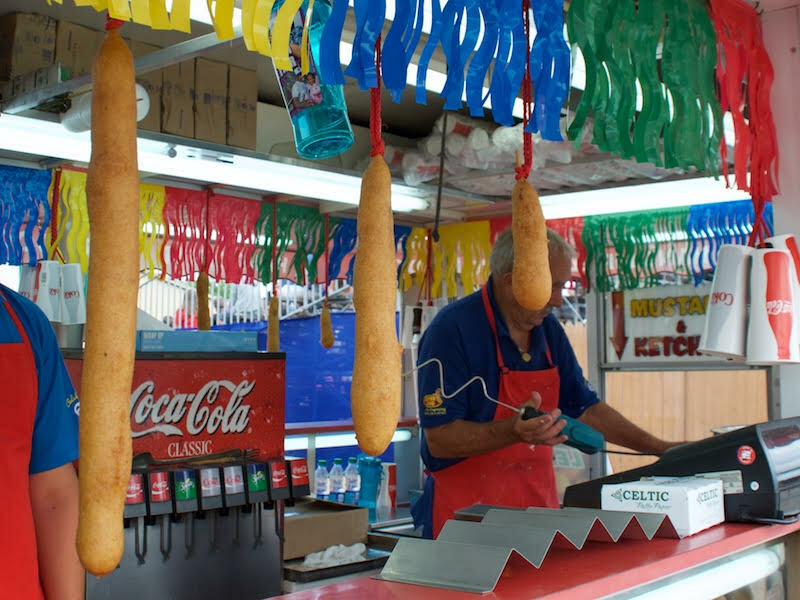 The corn dog, which is a hot dog impaled by a stick that's coated with cornmeal batter and deep fried, is believed to have been invented by Germans living in Texas in the 1920s. They became a fair food at the Texas State Fair in the 1930s. 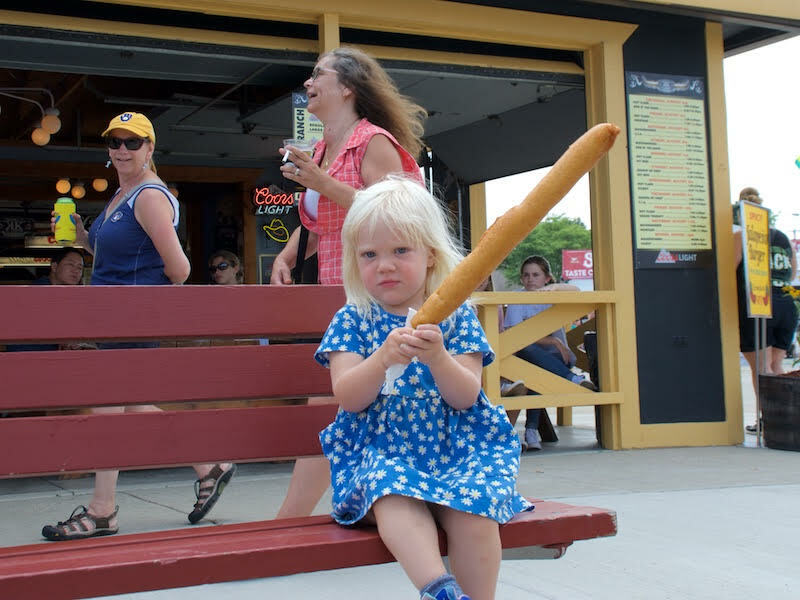 The Wisconsin State Fair has myriad corn dog stands, but not all corn dogs at the fair are the same. We found the best deals to be $5 for a regular-sized hot dog, however, corn dogs of the same size also sell for $6. Other stands offer 12-inch dogs for $8 and a few even have a whopping 18-inch corn-dipped dog for $14. 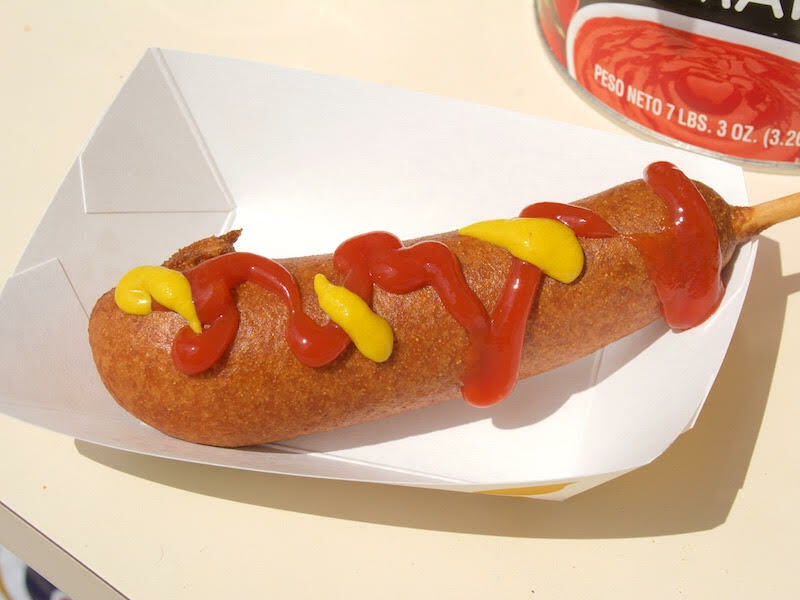 Because it's relatively cheap and easy to eat while walking, the corn dog is pretty much the perfect fair fare as is, but we did wonder if there could be – or has been – a variation on this classic fair treat. Could it be dipped in blue cornmeal? A Bluedog? Or a brat dog? That's gotta have been done already. We'd also be down for a Thanksgiving corn dog made with a turkey hot dog and served with cranberry mustard. For now, though, we had no problem polishing off the classic version of the c-dog and had a blast watching this little one attempt this big dog. She eventually conquered it, with a little help from dad.